CRCPavement.org – What is CRCP? 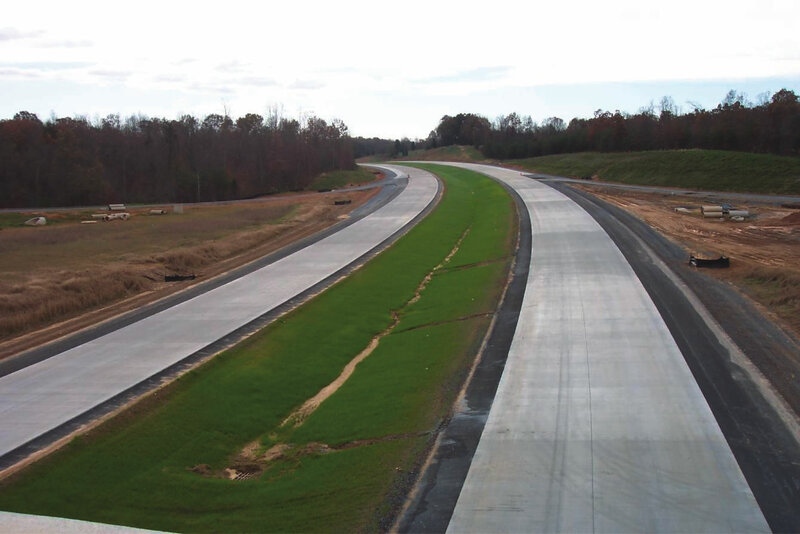 Continuously reinforced concrete pavements (CRCP) contain continuous longitudinal reinforcement, usually steel, and do not have transverse joints except where necessary for construction purposes (e.g., end-of-day construction header joints) or at bridge approaches or transitions to other pavement structures. Continuous reinforcement is a strategy for managing the transverse cracking that occurs in all new concrete pavements. In new concrete, natural volume changes due to cement-water hydration are restrained by the pavement base and other physical features adjacent to the concrete, causing stresses to develop in the concrete. These stresses build faster than the concrete’s strength so, at some point, full-depth cracks form, effectively dividing the pavement into individual slabs. Unlike jointed plain concrete pavements (JPCP), where the number and location of transverse cracks are managed by sawing or constructing joints, in CRCP the continuous reinforcement allows transverse cracks to occur relatively closely together and holds them tightly closed for maximum aggregate interlock. As a result, load transfer between pavement slabs is maximized, and flexural stresses due to traffic loads and curling and warping are minimized. In CRCP, longitudinal joints may be used to relieve concrete stresses in the transverse direction, for example when the paving width exceeds 14 ft (4.2 m). To hold any longitudinal cracks that may form tightly closed, CRCP commonly contains transverse reinforcement as well and longitudinal construction joints typically contain tiebars.